Öresund Sky Bathmat was inspired by my latest trip to Sweden, where I tried to escape from my real life, to switch off, recharge by the sea and to feel happy again. I spent long hours at the beach in Malmö making this bathmat. It didn’t have any name even after being finished. I asked for help on my page on Facebook and was given so many nice and creative suggestions! One of them was to call it Evening Sky. And this name resonated with what I felt and saw in Malmö. So I decided to call my new design Öresund Sky Bathmat. Read the whole story behind this design HERE and check more pictures of a finished bathmat HERE. DISCLOSURE: This blog contains affiliate links. If you purchase a (any) product via a link on my blog, I get a small percentage contribution from the store which enables me to keep providing you with free patterns. It costs you nothing extra to visit the store via my link, but ensure I get the credit for the sale. Thank you for your support! Please, read my review about this yarn HERE. You can choose and purchase your shades via Wool Warehouse*, Deramores*, Paradise Fibers* (US) or in your local Scheepjes stores. Scissors and tapestry needle to weave yarn tails in. The size of finished bathmat will depend on yarn and hook you choose, and also on your personal gauge. My mathmat is approx. 55cm x 75cm (21 ½” x 29 ½”). Intermediate (though I believe advanced beginners can handle this pattern as well). US standard abbreviations are used in this pattern. But if you are used to other terms, please check this Crochet Translation Project which might be helpful in translation to your native language. 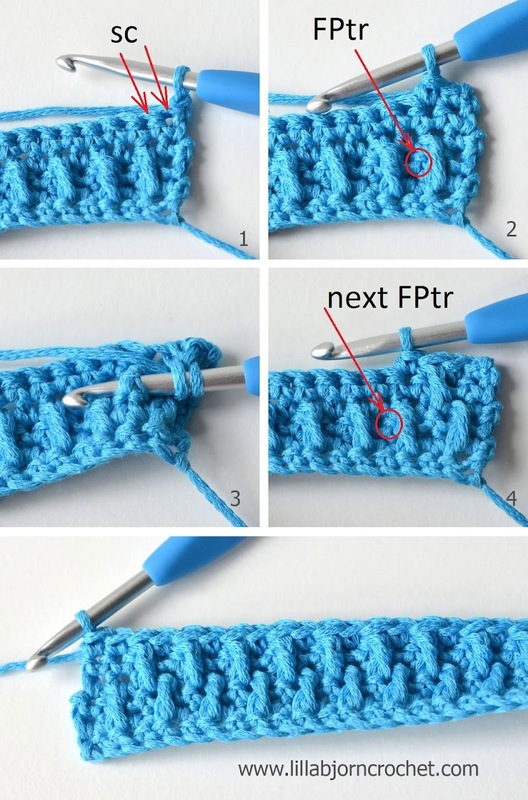 FPtr (front post treble crochet) - yo twice, insert hook from front to back to front around he post of indicated stitch, yo, draw up a lp, *yo, pull through 2 lps* 3 times. Ch1 in the beginning of every row doesn’t count as sc. So 1st sc of every row is made in 1st sc of previous row. 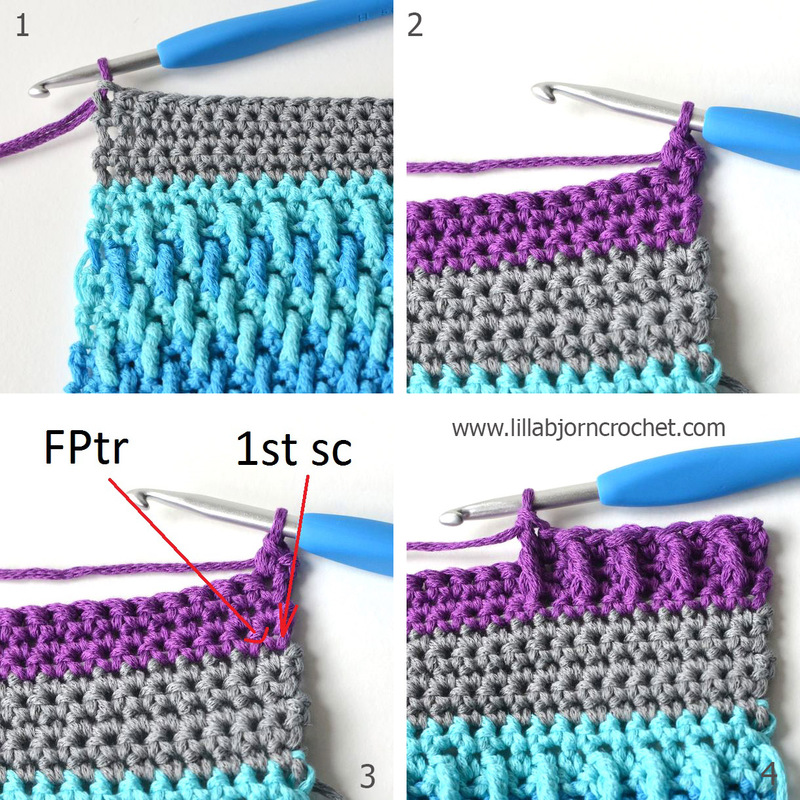 FPtr's should be made to the height of working row. They must not be too loose or pull. Always skip 1st of previous row behind every FPtr just made. You can easily adjust the size of Öresund Sky Bathmat. To make it wider make any even number of ch in the beginning. 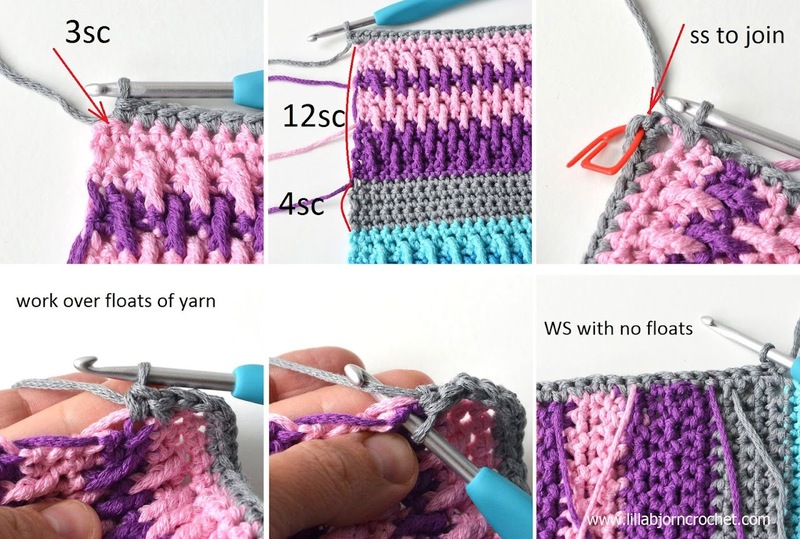 To make it longer, just crochet more rows in each stripe. To reduce the amount of yarn tails, don’t cut yarn while making colorful stripes. You will get floats of yarn on the sides but they will be hidden by the border. (So cut yarn before and after each colorful stripe always leaving 20 cm/8in tail). Change colour on the last yarn-over of the last sc of the relevant row. Copyright LillaBjornCrochet 2016. All rights reserved. This pattern is for unlimited personal use only. Do not reproduce or sell the pattern. The pattern may not be copied in any way (print or digitally), in part or in full. Items may be sold that are made from this pattern as long as the designer is credited. Shop owners, if you wish to make a kit with yarn using this pattern, please request permission and copyright details from me before offering any kits for sale. Please, read Copyright page for more information. 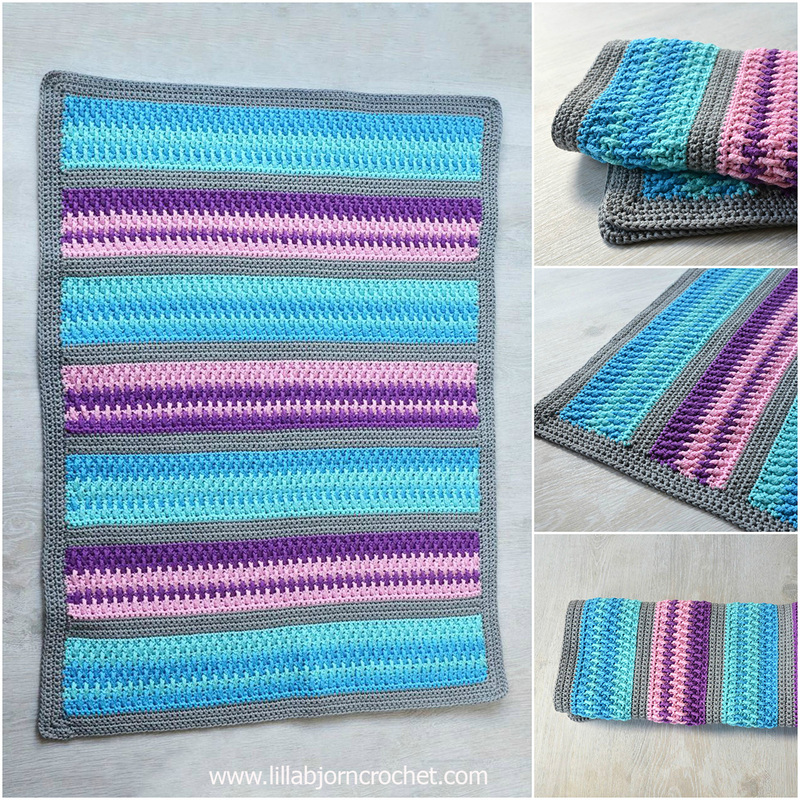 Öresund Sky Bathmat consists of 7 colorful stripes divided by 6 narrow stripes in gray. Colorway for each colorful stripe is given below. Row 2-3. Ch1 (doesn’t count as sc here and throughout), 85sc. Turn. Row 4. Ch1, *1sc, skip 1 st on row 1, 1FPtr around next st of row 1, skip 1st behind FPtr just made; repeat from * to the end leaving 1 st unworked, 1sc in last st. Turn. Row 5. Ch1, 85sc. Turn. Row 6. Ch1, 1sc in 2sts, *1FPtr around st from 3 rows below visible just after FPtr below, skip 1 st, 1sc in next st; repeat from * to the end leaving 1 st unworked, 1sc in last st. Turn. Row 7. Ch1, 85sc. Turn. Row 8. Ch1, *1sc, 1FPtr around 2nd st from 3 rows below, skip 1 st, 1sc in next st, *1FPtr around st from 3 rows below visible just after FPtr below, skip 1 st, 1sc in next st; repeat from * to the end. Turn. Row 16-20. With C3. Ch1, 85 sc, turn. Row 1. Ch1, 85sc, turn. Row 2-15. As for colorful stripe 1. Continue with the pattern alternating colorful and grey stripes (repeating rows 1-20) for 135 rows in total. You should get 7 colorful stripes and 6 gray stripes between them. After row 135 change to C3, turn and start working the border around the bathmat. 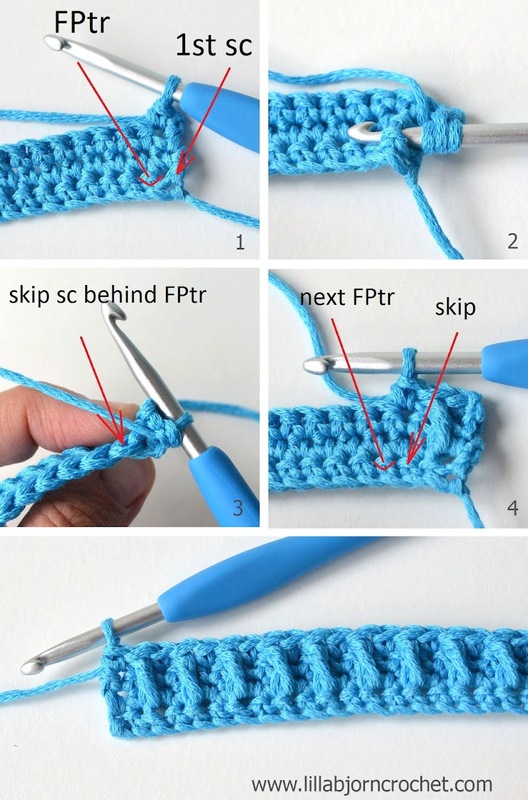 The border is made in back and forth, so in the eand of each row join with slip stitch in 1st sc and turn. 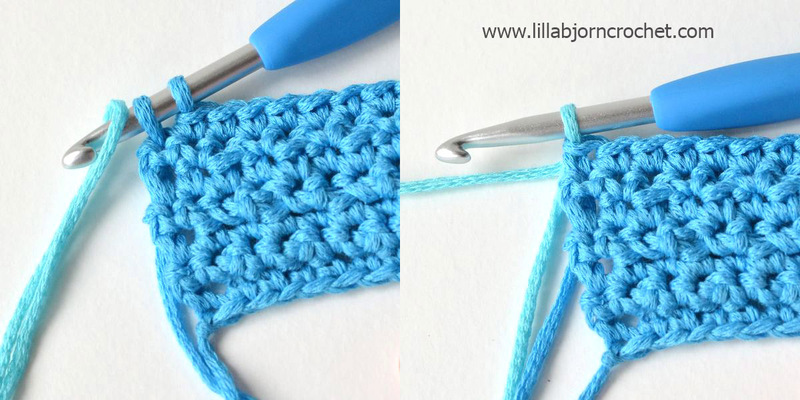 TIP: to hide floats of yarn – crochet 1st round of the border over them. Round 1. In this rnd mark 2nd sc of 3 in each corner. Round 2. In this rnd mark 2nd sc of 3 in each corner. (WS) Ch1, 1sc in 1st sc. Continue crocheting with sc around the blanket making 3 sc in each marked st, join with ss in 1st sc. Turn. Round 3-5. As Round 2. Fasten off. Weave in all yarn tails. Congratulations!! Your Öresund Sky Bathmat is now finished! You can subscribe to monthly newsletter not to miss a single post. You can also follow me on Facebook, Pinterest and Instagram. p.s. This bathmat is quite slippery. If you want to use for a bathroom you shoould add some anti-slip material underneath. I have 2 ideas about how it prevent it from being slippery. And I will share my thoughts with you next week! UPDATE: my review about 3 ways to make a crochet rug non slip is HERE. I'm sorry, this may be a stupid question, but you use the term 'blanket', once under the Border section before round 1 and again at round 2. Is this a separate item, or just misworded? I thought this was a bathmat (kind of rug). Or have I lost my mind completely and this IS a blanket? Perfect - I love Bloom :) I am glad your holiday in Malmo restored you. I love the sea - the more wild and windy the better. Some time you MUST come to England and go to the beaches on the Norfolk coast - the beach at Holkham is so unspoiled. The sea goes right out at low tide and you can tip toe through loads of little pools left behind. I spent many happy hours there as a child - my Aunt was a cook at Holkham hall and the beach was private then. 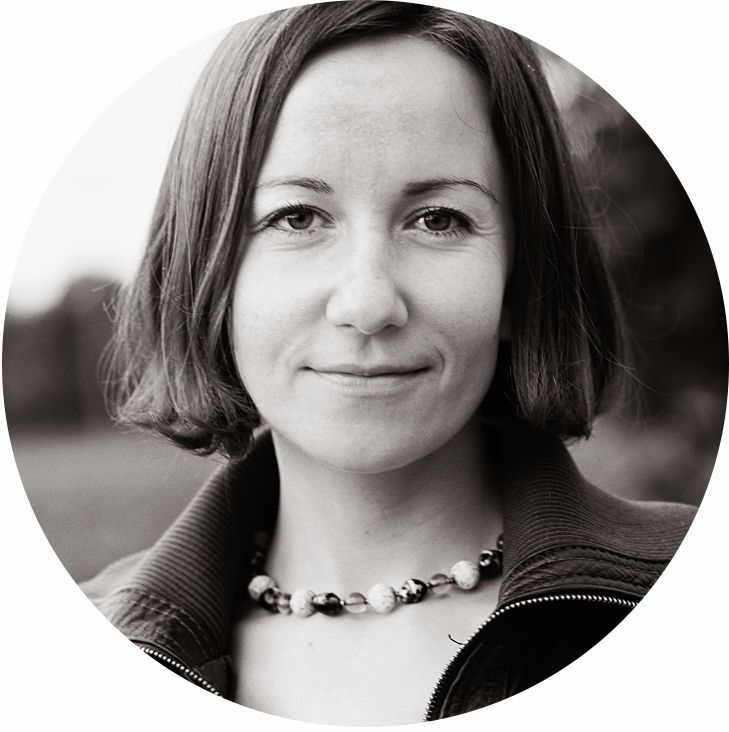 I am glad you are back designing - your designs are so pretty and so interesting to do. I wish you many many more happy crochet times. Hi Maggie! I have never been to England. Your description of this place sounds so magic. I hope one day I come and see it on my own. thank you very much for your lovely words. The close-ups of your rug bring out the astounding texture and detail of your creation that I didn't notice before. What a beautiful rug! And your colorway selections are awesome! 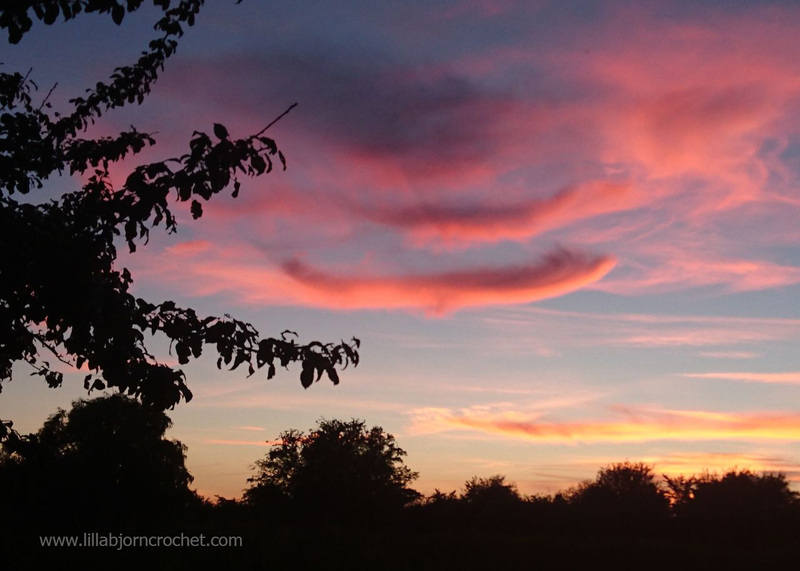 I love the Malmo sunset that you captured in your picture. I am so thankful that your trip to Malmo restored your soul. The seaside has such a restorative effect for a lot of people, myself included. I would like to be able to visit Sweden, Norway and Denmark someday as my great-grandparents hail from Sweden on my mom's side of the family and from Denmark and Norway on my dad's side of the family.